Noise releases in crunchy and crispy food products are an important indicator to its freshness and quality standards. 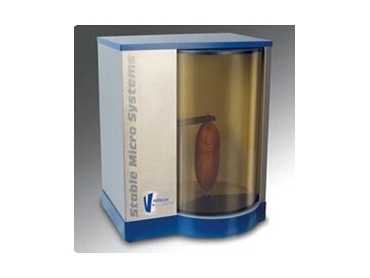 Arrow Scientific introduces the Acoustic Envelop Detector adds the audio dimension in texture analysis equipment by food testing the sound waves released from the food products while they are being deformed. The Acoustic Envelop Detector is used with the TA.XTplus texture analyser to help measure and collect the soundwave data released from the food products, which can range from biscuits, cereals, crisps and hard variety fruits and vegetables. The Acoustic Envelop Detector features a highly sensitive directional microphone, which is mounted close to the sample food product and picks up only the relevant high frequencies emitted by crispy foods while filtering out those emitted by the texture analyser itself. The Acoustic Envelop Detector can acquire force, distance, time and acoustic data at high speeds of up to 500pps (data points per second), which is particularly important in food testing products that break quickly. The acoustic data, gained from the texture analyser, can be analysed quickly and easily using small and manageable files in the region of 20kb per test. The Acoustic Envelop Detector and the TA.XTPlus texture analyser are both available from Arrow Scientific.